Robert Pattinson. David Michod. 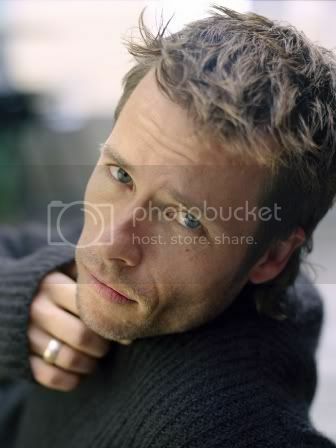 Guy Pearce. GossipCop It’s been a big 24 hours for Robert Pattinson. Gossip Cop has confirmed that the Twilight star has joined The Rover, a film that follows one man’s pursuit through the Australian Outback of the men who stole his car. His rep confirms the casting to Gossip Cop. Pattinson will play a character named Reynolds in director David Michod’s movie, which is set in the near future. Late Wednesday, it was announced that Pattinson will star in Mission: Blacklist. Robert Pattinson and Guy Pearce is in negotiations to star in David Michod's "Rover." Pearce will star as a man who after having his car stolen by a group of men pursues them through the wild and rugged Australian Outback. 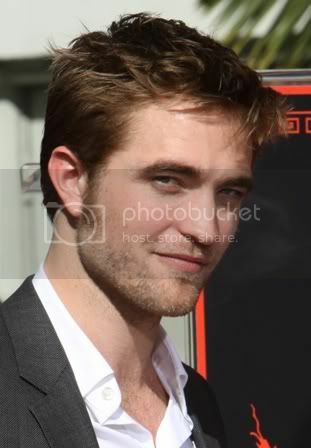 Pattinson will portray one of the thiefs. Michod will helm and wrote the script which based on an idea he and "Animal Kingdom" star Joel Edgerton originated. David Linde and Liz Watts will produce through Linde's Lava Bear banner and Porchlight Films. According to Variety's @TheInSneider "Rob is going to play the brother of the main car thief, who teams up with the lead (Guy Pearce) to get his car back." From Deadline Robert Pattinson has been cast as one of the leads in David Michod’s The Rover. The film chronicles a man who relentless pursues a gang who stole his car through the wild and rough Australian outback of the near future. Pattinson, best known for playing Edward in the Twilight franchise, will play Reynolds, the brother of one of the thieves who is left behind when an encounter with the police goes very wrong. Guy Pearce co-stars in the film as the man in search of his car. David Linde’s Lava Bear and Liz Watts’ Porchlight are producing the film. Pattinson was just attached to star in Jean-Stephane Sauvaire’s Mission Blacklist, and he also toplines the David Cronenberg-directed Cosmopolis that is in competition at this month’s Cannes Film Festival. David Michod is repped by UTA, Australian Agent Jane Cameron at Cameron Cresswell and attorney Alan Wertheimer. UTA Independent Film Group is representing The Rover for sale. Pattinson is repped by WME, 3 Arts, and Curtis Brown. From The Playlist Pattinson is now attached to star in "The Rover," the new movie from "Animal Kingdom" director David Michod. Based on an idea he developed with his friend Joel Edgerton, Michod penned the script which is a near future set story that will follow a man who goes on journey across the Australian outback to find his stolen car, which contains something invaluable to him. Also coming along for the ride is Guy Pearce, who gave one of the best performances of his career in "Animal Kingdom," so we're pretty excited to see them back together. Pattinson will play Reynolds in the film, but no word on Pearce's part just yet. The plans is for the film to shoot this fall, and while everyone has an opinion on Pattinson, you can't fault his choices of late. He's clearly using the clout he's achieved to work with interesting directors and projects, and it's really hard to argue with that approach. And if it means his name can help get "The Rover" to get made, who are we to complain? From empireonline (April 2012) After plugging away for years with shorts and other jobs, director David Michôd burst onto the wider cinematic scene in 2010 (though it arrived over here last year) with excellent rites-of-passage thriller Animal Kingdom. We’ve been waiting to see what he’d do next, feature-wise, and he’s locked in his follow-up directing job, The Rover. While Michôd will write and direct, the idea for the movie came from an idea he put together with Kingdom star Joel Edgerton, who's no slouch in the scribbling department either. While few details have leaked yet, Variety did learn that the story will follow a man hunting for his stolen car, which he desperately wants back because of what’s lurking within it. So a crime spin on Dude, Where's My Car? then? Though he hasn’t picked up the megaphone himself since Kingdom, Michôd’s kept busy, co-writing the short film Bear with Joel’s brother Nash Edgerton, which won acclaim at this year’s Sundance Fest. 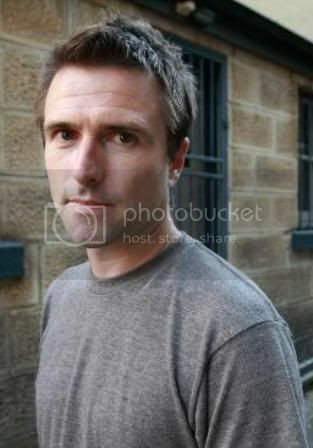 He’s also scheduled to contribute a piece of portmanteau pic Sydney Unplugged. And from firstshowing Another crime story. More from the twisted Australian mind(s) that brought us the brilliant crime drama Animal Kingdom next comes The Rover, a drama set to star Joel Edgerton, who has become quite a well-known actor since appearing in David Michod's Animal Kingdom in 2010.Variety reports on the news, saying David Michod has "finally settled on his follow-up" to Animal Kingdom, writing/directing this film, supposedly about "a man on a mission to retrieve his stolen car, which contains something invaluable to him." Rather vague. The project has producers and everything, with a production start date in Oz this fall. The Rover, written and directed by David Michôd, is produced by David Linde's Lava Bear and Porchlight Films. Linde will produce for Lava Bear, Liz Watts will produce for Porchlight; Tory Metzger will oversee. Michod is part of Blue-Tongue Films, which includes Joel Edgerton's brother Nash, Spencer Susser and Kieran Darcy-Smith. Not much else is really known about this Rover project yet, but I was a huge fan of Animal Kingdom, one of my underrated favorites of that year. I'm looking forward to seeing this follow-up, and what exactly it is, plus who else he gets in the cast (like Teresa Palmer)! Stay tuned for more updates.